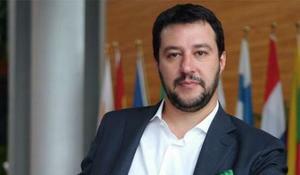 Italian Interior Minister Matteo Salvini intends to meet in Rome with Tony Blair, advising on the Trans-Adriatic Pipeline, which is designed to transport natural gas from Azerbaijan to Europe, The Guardian reported. The Southern Gas Corridor is a means towards strengthening energy security of Europe, researcher of French institute of international relations and one of the reasons why the EU has stepped up talks with Turkmenistan on energy cooperation, researcher of the French Institute of International Relations Aurélie Bros told Trend. The Bulgaria-Greece gas grid interconnection is to be completed in 2016, after which Bulgaria will be able to receive gas supplies from the Caspian region through the Trans-Adriatic Pipeline (TAP), CEO of state-owned gas transmission operator Bulgartransgaz Kiril Temelkov said. The Trilateral Cooperation Committee (TCC) on the Trans-Adriatic Pipeline (TAP) established by the governments of Greece, Albania and Italy will increase the chances of the project to be selected by the consortium of Azerbaijani Shah Deniz field development, TAP's External Affairs Director, Michael Hoffmann, believes. Gas produced in the Kurdish autonomy of Iraq can be transported to Europe via the Trans-Adriatic Pipeline (TAP), the director of external relations of TAP Michael Hoffman said at a meeting with representatives of the Ministry of Energy of Turkey, Ankara agency announced on Tuesday.